New and aspiring Alaska commercial fishermen gathered in Anchorage for the Alaska Young Fishermen’s Summit, which aims to train the next generation of commercial fishermen to be successful and help turn the tide on Alaska’s aging fleet, where the average age of a boat captain is 50. Alaska Sea Grant staff and faculty would like to wish Alaskans and our colleagues around the country a happy holiday season. We continue to work hard every day serving the needs of coastal communities, fishermen, seafood processors, scientists, educators and all who rely on and enjoy Alaska’s marine environment. 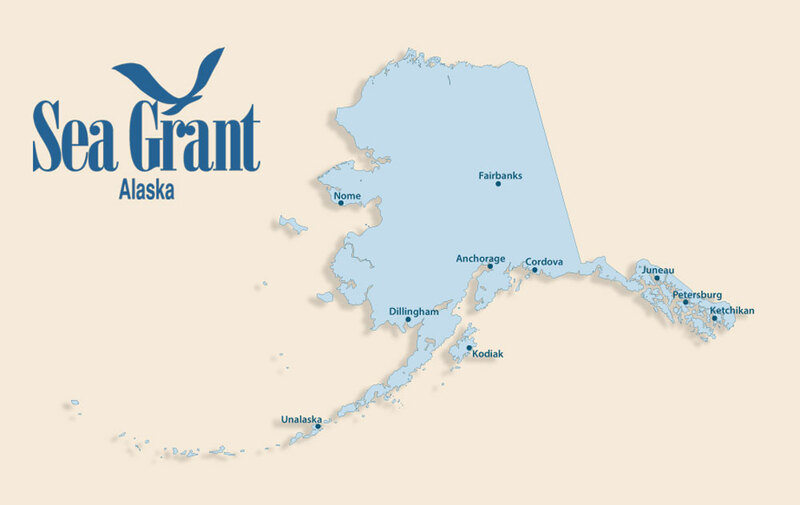 Alaska Sea Grant is accepting applications for several fellowships for students or recent graduates. A new report on Alaska’s aging fishing fleet and loss of access to commercial fisheries in rural communities recommends five steps to reverse these troubling trends. A new report from a team of Alaska researchers tackles a two-pronged challenge for the 49th state—an aging fishing fleet and rural communities increasingly left out of a multibillion dollar annual harvest and a way of life that has sustained them for generations. Some of the biggest seafood processors operating in Alaska sent their top cadre of workers to the Alaska Seafood Processing Leadership Institute in Kodiak this fall. The institute, called ASPLI, is one of the state’s leading training programs serving Alaska’s seafood industry, which employs nearly 57,000 workers. As the state’s largest manufacturing sector, seafood processors produced 2.7 billion pounds of Alaska products in Alaska in 2016, with a wholesale vaue of $4.2 billion, according to McDowell Group. What caused 39 walruses to wash ashore dead in western Alaska? As investigators hunt for clues, tests show biotoxins in stomach contents and intestines of four walruses. Quentin Fong, Alaska Sea Grant’s seafood marketing specialist, assisted federal efforts to crack down on seafood fraud. Scientists are developing a new method for matching protein to particular fish to prevent mislabeling, a problem that affects millions of consumers. Maggie Chan, graduate student at the University of Alaska Fairbanks, will head to Washington, DC, next year as a Knauss Marine Policy Fellow. She is in a select group nominated by Sea Grant programs nationwide who will start their fellowships in February 2018, and continues the recent success of Knauss applicants from Alaska. Inventions and new research in seafood technology are the subject of an upcoming conference at the Alyeska Resort in Girdwood, Alaska, near Anchorage.